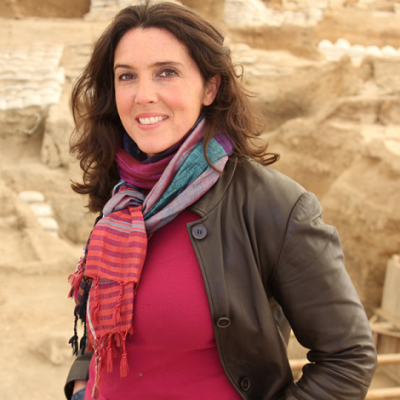 Bettany Hughes is an award-winning historian, author and broadcaster. Her previous books–Helen of Troy: Goddess, Princess, Whore and The Hemlock Cup: Socrates, Athens and the Search for the Good Life–were published to great critical acclaim and worldwide success. Bettany is a Research Fellow of King’s College London, a Tutor at Cambridge University’s Institute for Continuing Education and a Visiting Professor of History at the New College of the Humanities and has been honoured with numerous awards including the prestigious Norton Medlicott Medal for History. She has made a number of documentaries on history, culture and philosophy for the BBC, Channel 4, PBS, National Geographic, Discovery and The History Channel, including ‘Byzantium Unearthed’. Her programmes have now been seen by over 250 million worldwide. Her recent series for Radio 4 ‘Ancient Ways’ tracked the old Roman Road, the Via Egnatia, from Albania to Istanbul.